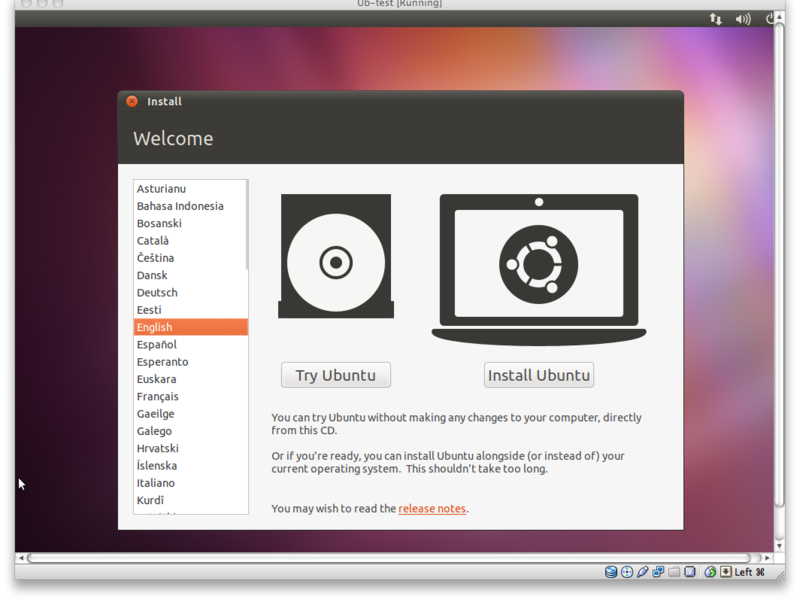 If you are running an Apple Mac and you want / need to install Ubuntu as a Guest operating system. I've used Parallels and VMWare and I find VirtualBox to be quite good, and free. 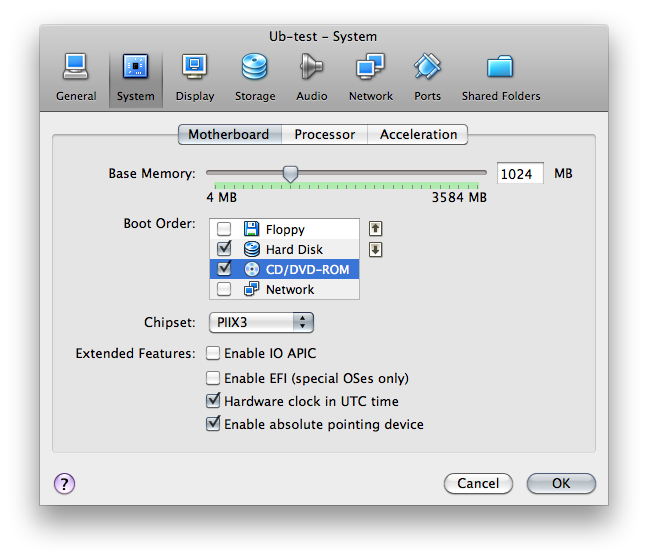 Create a new virtual machine. You can just follow the wizard. When its done you need to edit some settings. 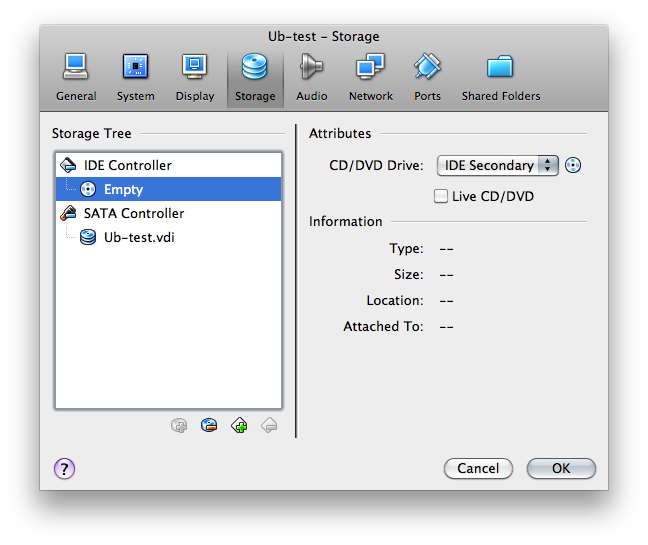 and the 'empty' under IDE controller. Click the disc symbol on the right and then "choose a virtual CD/DVD disk file" and that allows you to load the Ubuntu ISO file you just downloaded. I usually click on Audio and deselect it. 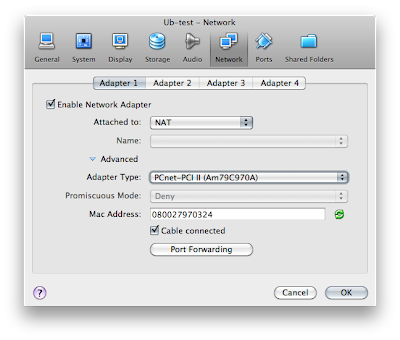 Then click on Network , Advanced and change the emulated network adapter to PC-net. I fin the Intel Pro/1000 doesn't always work. Click OK, and then Start. Now we're running! 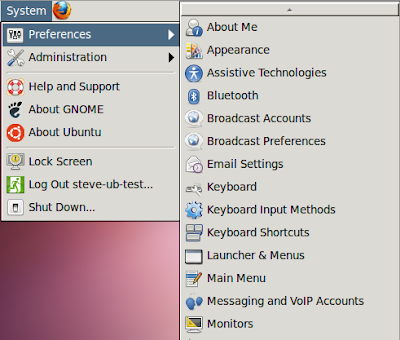 Ubuntu starts and soon we can choose what to do. 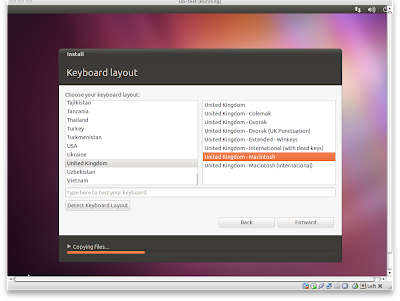 The defaults are OK, just remember to select the correct keyboard. I do like the way Ubuntu allows you to do some configuration while its installing. After a few minutes you can restart. Pretty much everything works out of the box, except one annoyance. 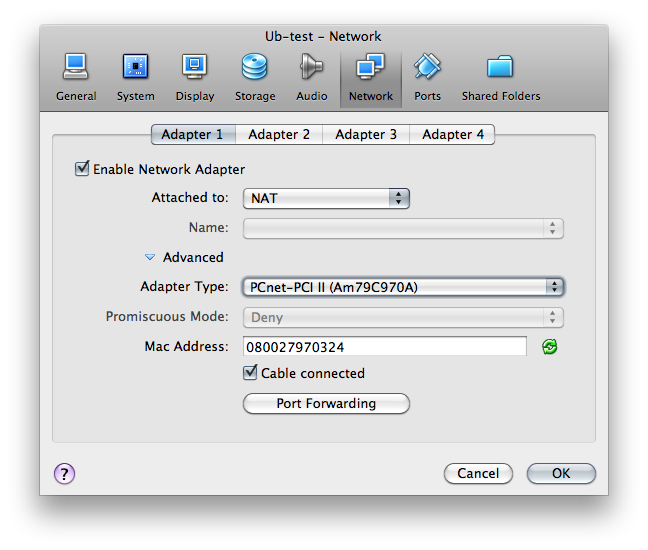 The screen resolution was stuck at 1024 x 768, which on a MacBookPro is annoying when you've got 1280 x 800 to play with. Selecting System > Preferences > Monitor gives only 1024 x 768, 800 x 600, 640 x 480. Put in your password, and it installs. Right at the top, on the VirtualBox menu bar, select Devices / Install Guest Additions. 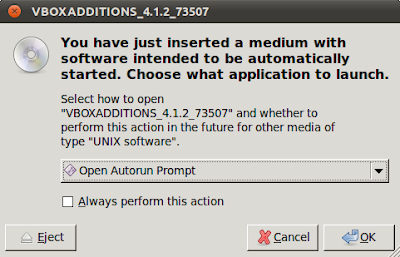 You get the AutoRun prompt, so accept, then after click Run, and put in your password when asked. Follow this through, it may take a few minutes and then restart. The 'power button' upper right. After restart, initially things will look worse! You'll get 800 x 600. Don't worry. Go into full screen mode by pressing Apple-F. The window will resize automatically to fill your screen ie 1280 x 800. 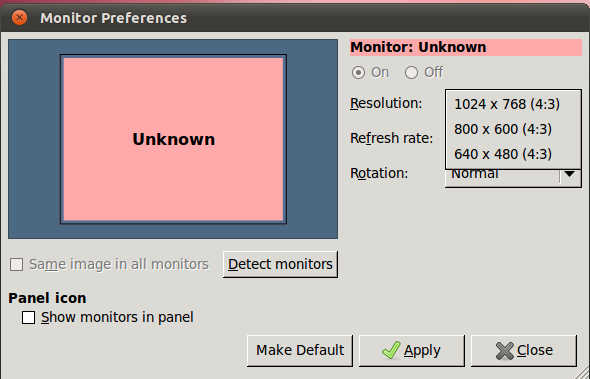 You can then back into monitor settings and the new resolution will be there. When you press Apple-F again you'll run windowed mode, which is actually my favourite.